Today, we focus on mounts for Can-Am Spyder. These specialty vehicles present unique challenges in finding the proper mounts for cameras, cell phones or GPS units. Depending upon which model from Can-Am you may have, traditional motorcycle mounts may not work. The reason for traditional motorcycle mounts not working is that the vast majority of bikes deploy a handlebar mount that fits up to 1.25 inches in diameter. 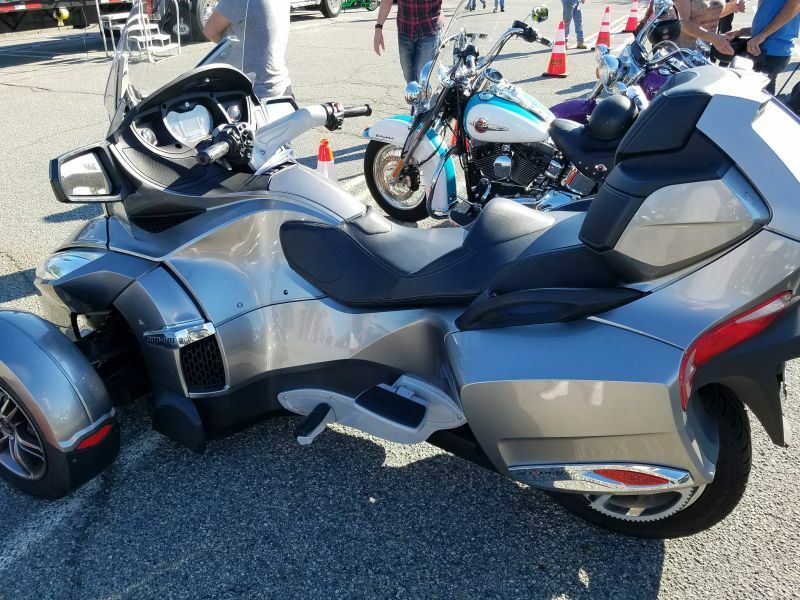 A Can-Am Spyder, for example, does not have a traditional handlebar. This necessitates some creative thinking on the part of the owners as well as the manufacturers of mounting solutions. In fact, it knocks many of the popular mount manufacturers out of contention. Fortunately we know of a few options which we will discuss within this article. The first manufacturer which we will discuss is a United States based company called TechMount. This company makes high-grade mounts for motorcycles and specialty vehicles. We have discussed some of their options in several previous articles. TechMount went out of their way to design a series of specialty mounts made specifically for the Can-Am Spyder. These mounts will attach to the center fairing of your Can-Am Spyder. The base mounts have a standard 17mm ball on the end and this matches perfectly with the open socket on the back of the cradle on most Garmin Nuvi GPS units so if the mount is for a Garmin Nuvi, this is all you need to purchase (see note below regarding tethering). These mounts can be purchased with adapters for a variety of purposes including for use with a Garmin Zumo or camera. We even see these packaged with weatherproof cases for use with a smartphone. The second manufacturer that we will discuss is RAM Mount which is also based in the United States. Like Techmount, RAM makes high quality mounts and they back it with a lifetime warranty. RAM makes a terrific option for those with extremely wide handlebars. Their U-bolt strap base will fir diameters up to 3.15 inches. This mounting base features a strap similar to a pipe clamp. The mount base comes with a rubber strip to protect marring your handlebar. This mount attaches by fitting the it around any circular surface then tightening the bolt for a firm hold. RAM packages these bases with a variety of cradles but most will start with the RAM universal mount. The universal mounting diamond on the end of this mount will fit most RAM cradles. You can also find this mount packaged with a wide variety of GPS cradles. They also make an excellent camera mounts with this option. I have seen some other options deployed on a Can-Am that involve adhesive but not a fan of these types of mounts in rugged environments. Lots of extreme vibration can compromise adhesive mounts so avoid them if going offroad. We recommend tethering your devices to your vehicle, even with a secure mount. The mounts mentioned within this article are well made, but most riders are taking their Can-Am ATVs offroad and this isn’t a typical environment. Some extra care is necessary in these environments to secure your devices. You can easily do this with a small bungee cord. Can I Use a Car GPS on a Motorcycle? Can You Replace a Garmin Zumo with a Smartphone? NFC: What is it and what can you do with it?